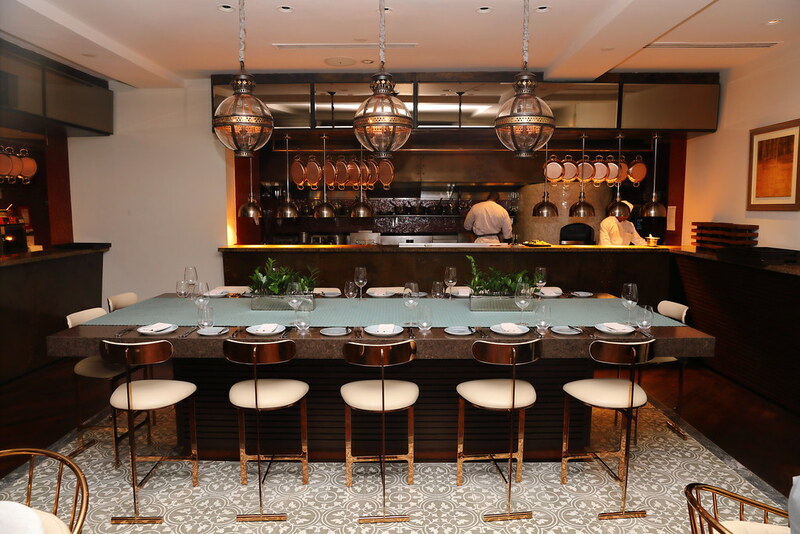 One-Ninety at Four seasons Hotel Singapore has finally reopened after its renovation with a refreshed botanical interior. 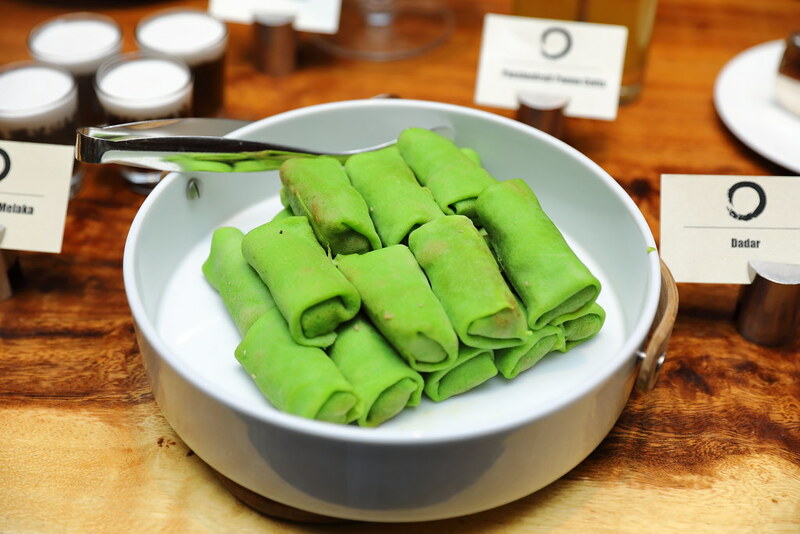 With the transformation, the menu has also been infused with Asian twist on wholesome Provencal cuisine. Leading the kitchen is Chef Kamarl John previously from Four Seasons London at Ten Trinity Square and Adrift Singapore. Freshly baked daily is the Artisan Sourdough with Seaweed Butter. 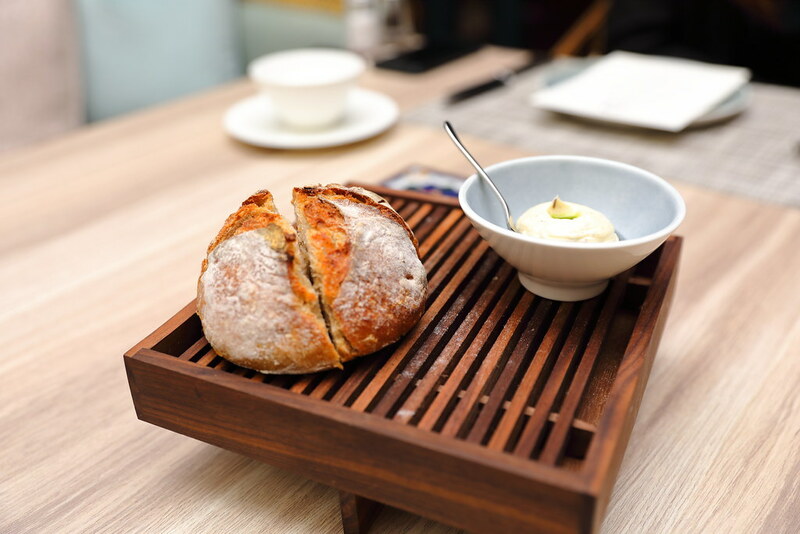 The flour used for the bread is specially sourced from Hokkaido Japan which is grounded by hand and blended to the restaurant's specification. New on the menu is the Seasonal Seafood Tower ($78). 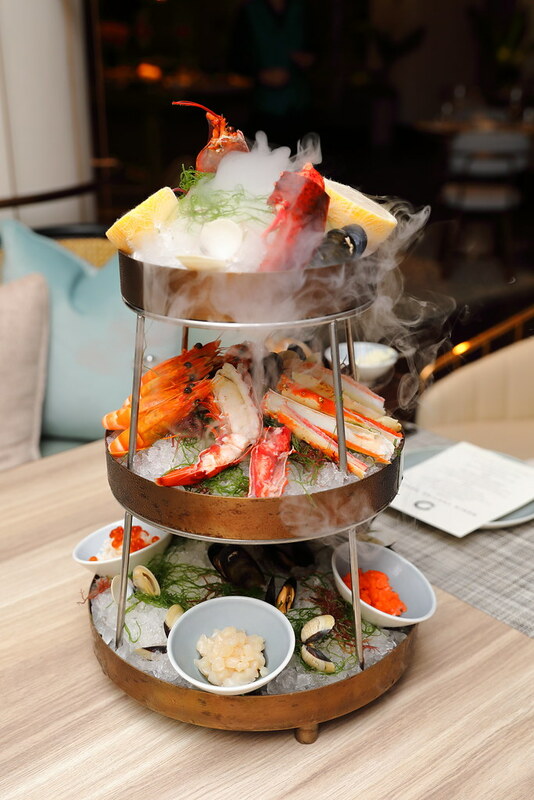 The 3-tier tower consists of seafood such as the maine lobster, king crab, mussels, spanner crab, scallops, prawns and tuna. The chef has also specially concocted calamansi aioli and young ginger vinaigrette sauces to go with fresh seafood. During the promotional period until end of June 2019, you can enjoy 25% off the tower of seafood. 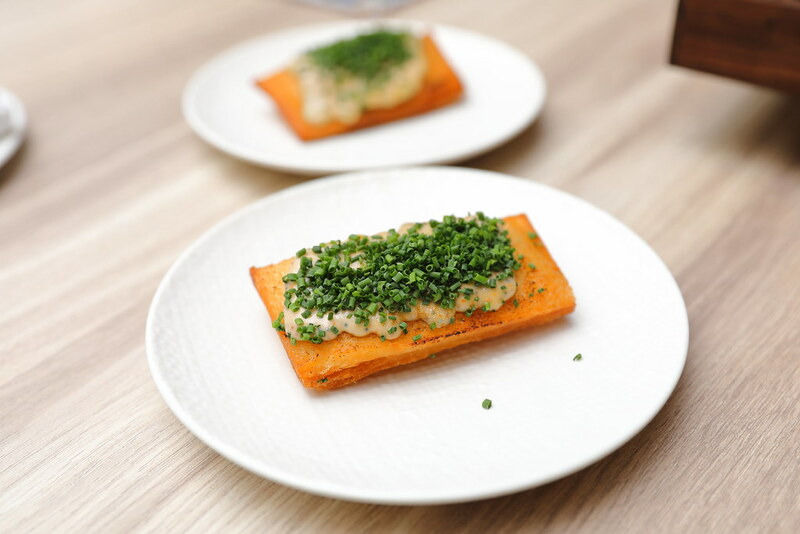 The Lobster and Prawn Toast with Spicy Tobiko ($8) surprisingly won our hearts with its rich flavour from the lobster and prawn filling, sandwiched in a crispy pillowy toast. 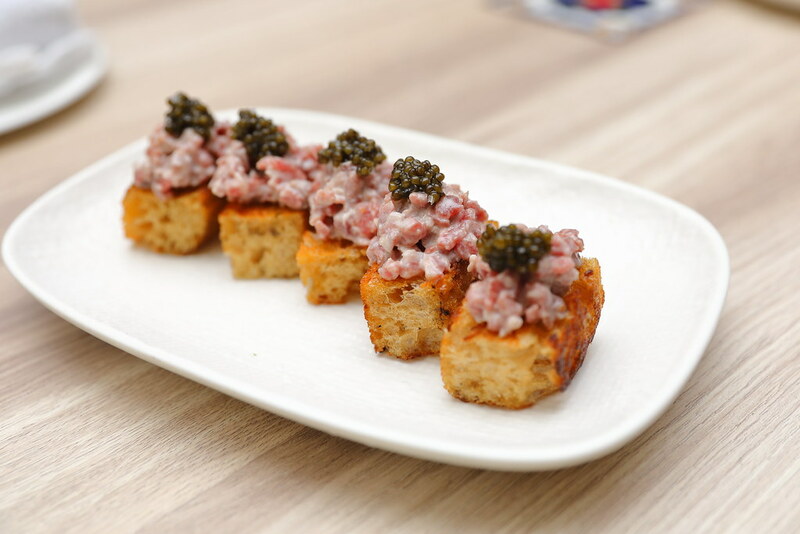 The bite size Beef & Caviar, Dijon Emulsion ($18 for 3pc) features wagyu beef tartare seasoned with Dijon emulsion and crowned with Ossetra Prestige caviar. 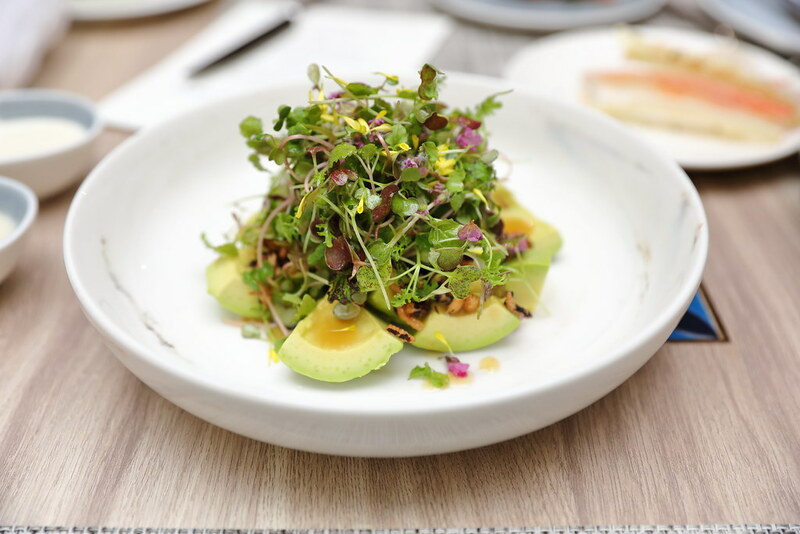 For those looking for a healthier choice, there is the Avocado Salad ($18) with mixed baby cresses and miso dressing. I appreciate the chunky and generous portion of avocado, enliven by the miso dressing. The addition of the roasted Japanese wild rice provided the texture contrast, complementing the whole enjoyment. 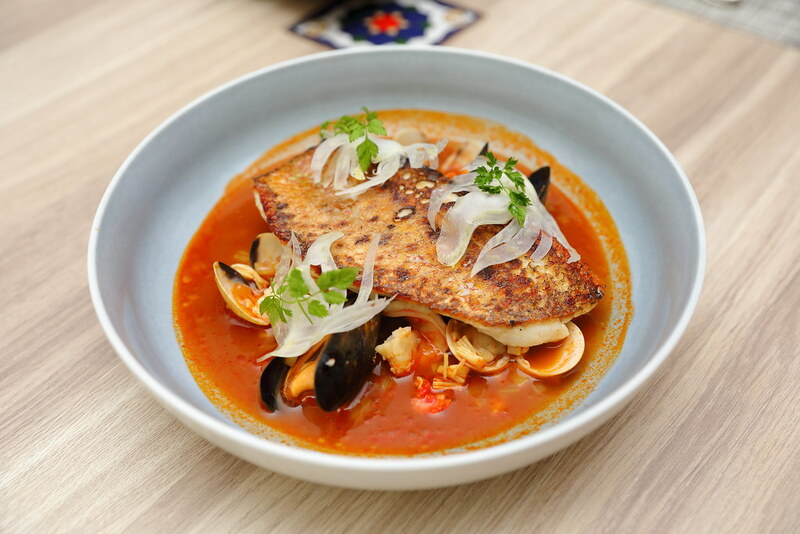 The traditional Provencal fish stew is given an Asian twist in the Snapper Bouillabaisse ($36). The whole snapper fillet comes in a robust seafood based broth, together with clams, mussels, prawns. The used of spicy daikon and lemon grass provided the Asian influence with a hint of citrusy finish. I was a little surprise when I sighted the pinkish medium rare doneness of the Iberico Pork Presa ($42). Apparently the presa is a specialized muscle within the shoulder, also known as the wagyu of pork. 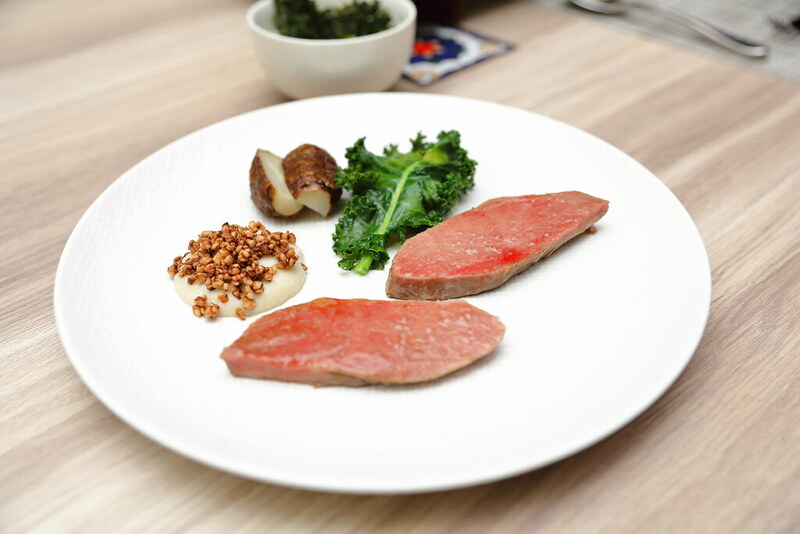 Accordingly to the chef, medium rare is the best way to appreciate the tender, juicy and flavourful cut. This is complemented by the celeriac puree and pineapple chutney spiced with star anise. 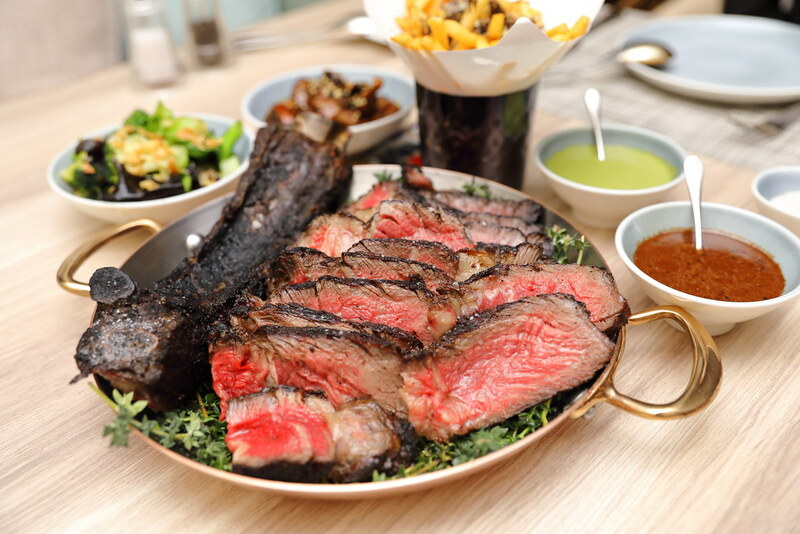 The highlight for the dinner goes to the Chargrilled Forty Day Aged Rib Chop, MBS 6+, 1.2kg ($188). Cooked to a beautiful pink in the middle with crusty charred edges, the dry aged beef is full of flavour. 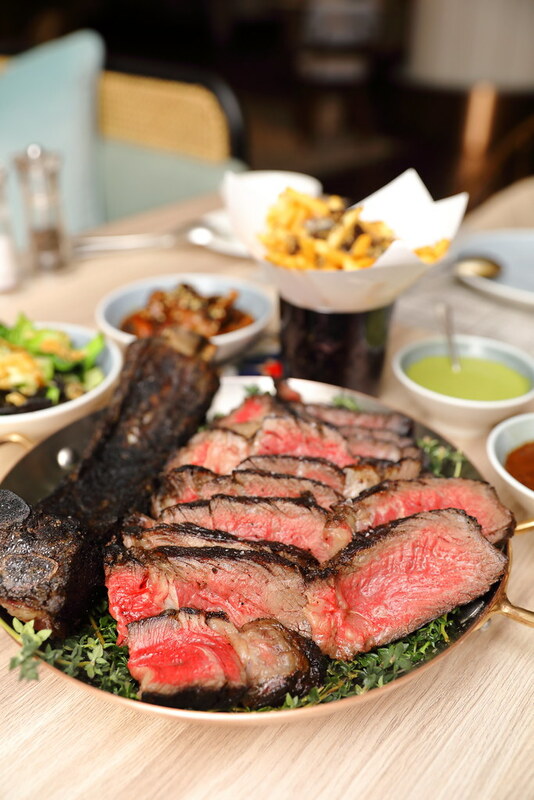 It also comes with a choice of sides such as Black Truffle Fries, Wok Fried Asian Greens and Wild Mushroom. 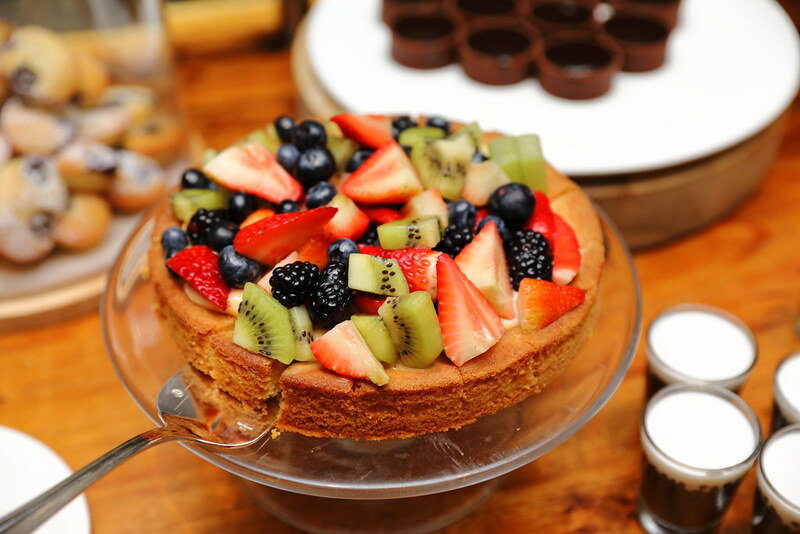 If you complete your diner experience with the dessert and cheese buffet for a top up of $28 per person. 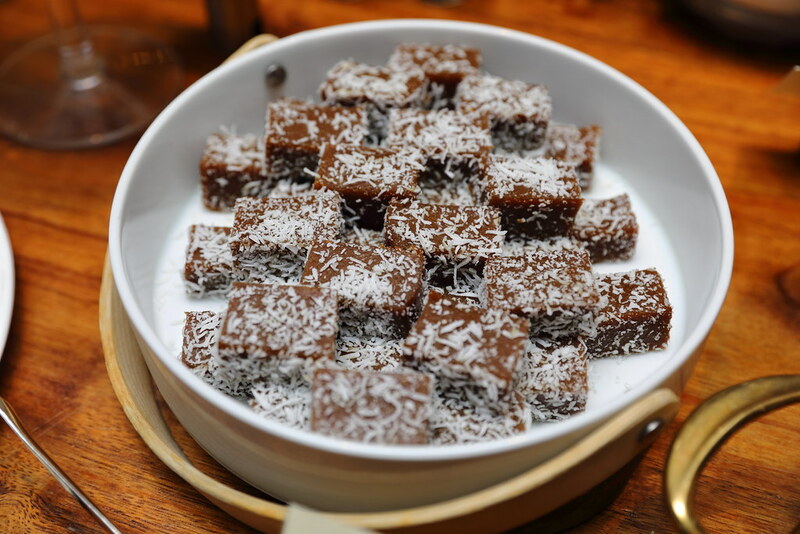 The cheese selection is not very extensive but you will not want to miss out the delicious local kuehs, cakes and pastries. In conjunction with its re-opening, One-Ninety is offering 25% off dinner daily, as well as the Seasonal Seafood Tower for both lunch and dinner up to end of June. You can also enjoy free corkage on any alcoholic beverage that you bring along when you dine in a party of 8 or more persons for dinner.